Diagnostic trials study or compare different tests or procedures that are used to diagnose a disease or health condition. 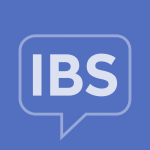 For many conditions, like IBS, there is no single test that is able to confirm a diagnosis. Many people will need to have several different tests to rule out other conditions before being diagnosed. Diagnostic clinical trials can hopefully make diagnosis an easier process for future patients. Quality of life trials, sometimes known as supportive care trials, do not focus on curing a disease or treating a health condition. Instead, these trials focus on improving the comfort or quality of life of people with different health conditions. For many people living with conditions such as IBD, symptoms and treatment side effects can have a negative impact on day-to-day life and overall well being. These trials recognize that while new treatment breakthroughs are important, overall quality of life is also extremely important to patients.